A presidential run to drive the money out of politics? 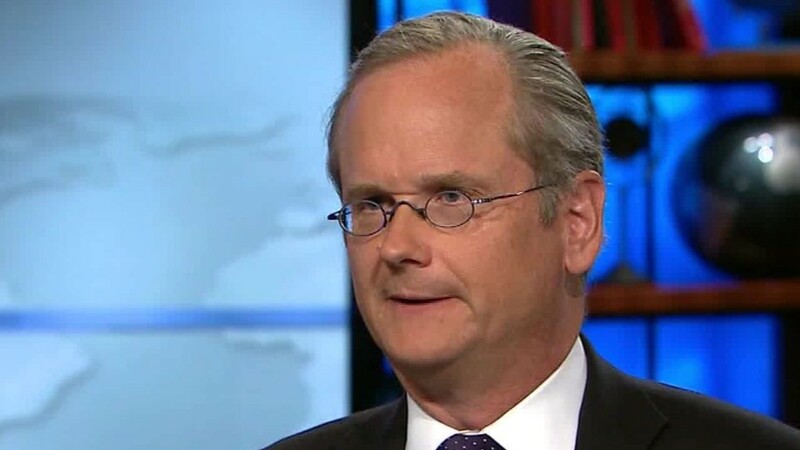 Larry Lessig saw Hillary Clinton on "SNL" and told NBC: I want equal time. Lessig, a longshot Democratic candidate for president, submitted the air time request last weekend and is now in consultation with NBC about it. "We're not trying to get Larry onto 'Saturday Night Live,' of course -- we just want to protect his equal right to speak to viewers," Lessig campaign counsel Adam Bonin said in a statement to CNNMoney. Federal Communications Commission rules stipulate that candidates can request equal time when broadcast stations have a rival on the air. "Since 1927, the law has said that when a network gives one candidate free airtime, outside of its news coverage, it has to allow a comparable opportunity to other candidates," Bonin said. "These are the public's airwaves, after all." NBC sent a memo to its affiliates, the day after Clinton's "SNL" cameo, reminding them they might receive equal time requests. Clinton's cameo on "SNL" lasted 3 minutes and 12 seconds, according to the memo. So Lessig would like the same amount of time, perhaps for informative ads about his campaign, which is focused on fixing what he says are the corrupting effects of money in politics. Lessig has struggled to gain media attention. Some polls have not included him. In polls that have, he has received between 0% and 1% support. On Saturday, Lessig reversed course on a pledge he had made to resign immediately after passing campaign finance reform if he were elected. He now says he would serve a full term, saying he decided his pledge had undermined his campaign. His equal time request was sent October 10 to NBC's top 35 affiliates plus those in states with early primaries. NBC responded on October 12 and asked for proof that both Lessig and Clinton are "legally qualified" candidates. The law calls for proof before equal air time is granted. Bonin shared the letter with CNNMoney and said "we'll be responding early this week." MSNBC's Rachel Maddow, who first reported on the equal time request earlier this week, noted that "there is a history of the strategy working out for some candidates." Because Al Sharpton hosted "SNL" while campaigning in 2003, some local stations had to air a "taped Joe Lieberman town hall event," she said. The equal time rules are getting more attention than usual this fall because Donald Trump is set to host "SNL" on November 7, raising the prospect of his GOP rivals asking for equivalent opportunities to reach NBC viewers. But those candidates won't be able to submit their requests until after the Trump broadcast.